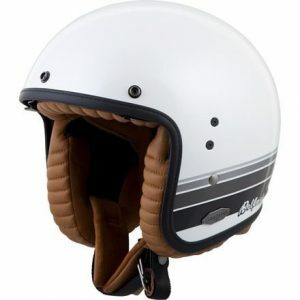 Are you looking for a scooter, cruiser or vintage cafe racer bobber open face helmets? Our wide selection from brands Shoei, Scorpion, HJC, Torc, Nolan, Bell, Arai, LS2 offers just what you’re looking for. Are you looking for comfort & protection while you ride on the open road? Our products will offer years of protection for many miles ahead. Are you looking for a certain style of open face helmets? 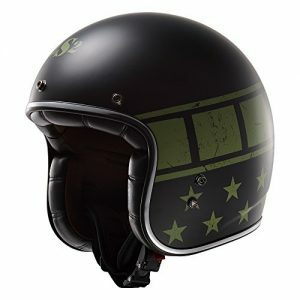 We have several manufacturers that offer cafe racer bobber style open face helmets just for you. Browse our catalog & check out the selection of old school open face helmets that will match you & your motorcycle perfect. All of these helmets are DOT approved & will provide the perfect mix of protection & style you are looking for. We also added amazon reviews to the products so you can see what others have said about the helmet. If you do not see a particular open face helmet you are looking for, please send us a Facebook message so we can add it to our collection. Looking for that vintage open face bobber style look? Then look no further! The Kurt's super skinny, low-profile shell is made from tricomposite fiberglass. It's lightweight and comfortable for all-day wear. The liner is made with a technical, high-quality padding for superior comfort that wicks moisture to keep you dry and cool. The LS2 OF583 mixes memories of the early days of custom bikes with modern technology. The super-skinny shell is made from tri-composite fiberglass. It's lightweight for comfortable all-day wear.